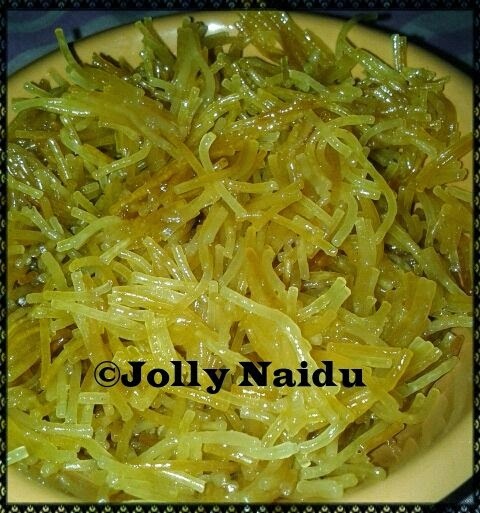 Meethi Seviyan (Sweet Vermicelli) is a delicious Indian recipe served as a desert and made during festive occasion !! Seviyan in English known as Vermicelli they are like thin spaghetti and used many different ways, making sweet and savory dishes. 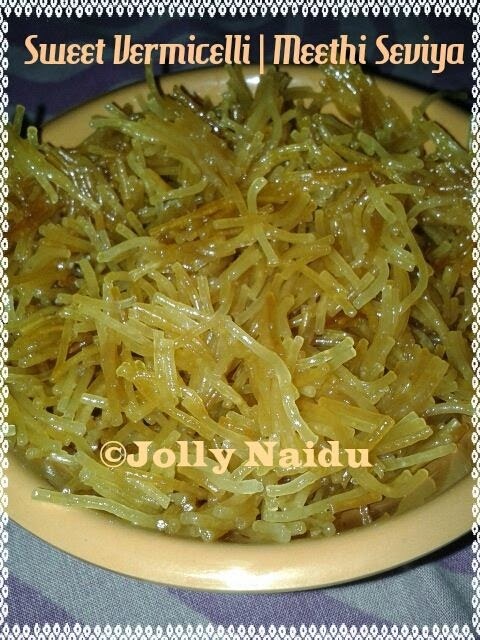 Today in Bangalore, mausam is awesome, so decided to make sweet & golden vermicelli for tea-time breakfast. Yummy !!! Felling hungry Easy pudding made with vermicelli, dry fruits and other ingredients. We usually prepared this sweet dish in rainy days. Hot-hot sweet vermicelli is the best to served in breakfast also. 1. In a heavy pot or kadai over medium heat, fry vermicelli in a tbsp of ghee, cook them, stirring constantly, till until golden brown about 2-3 minutes. 2. Carefully pour the water into kadai and add the sugar. Stir, bring the mixture to a boil, then lower the heat and simmer covered, until the vermicelli start to soften, 4 to 5 minutes. Add drained raisins and chopped almonds on to mixture as well. 3. Mix well and covered the lid for a few minutes. 4. Once water is soaked, remove from fire. 5. Serve Meethi Seviyan warm, garnish with pistachios and almonds.